The Rhythm Workshop specializes in interactive rhythm workshops using musical tubes, African djembe drums, and assorted percussion. Workshops are designed to the needs of each client. 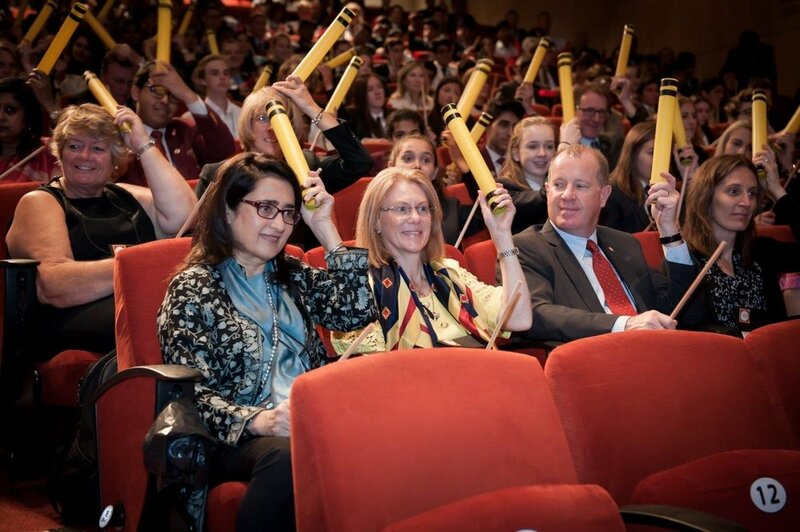 Interactive drumming and musical tubes provide a creative slant to training sessions of any nature, as well as to team building, stress relief, and simple fun. With the right focus, music and rhythm have the power to move people’s spirits – to create synergy and a strong sense of common humanity. teambuilding or any event that requires crowd participation. A Rhythm Workshop speciality, these are most effective with upwards of 80-100 people. This facilitation is done completely without speaking. 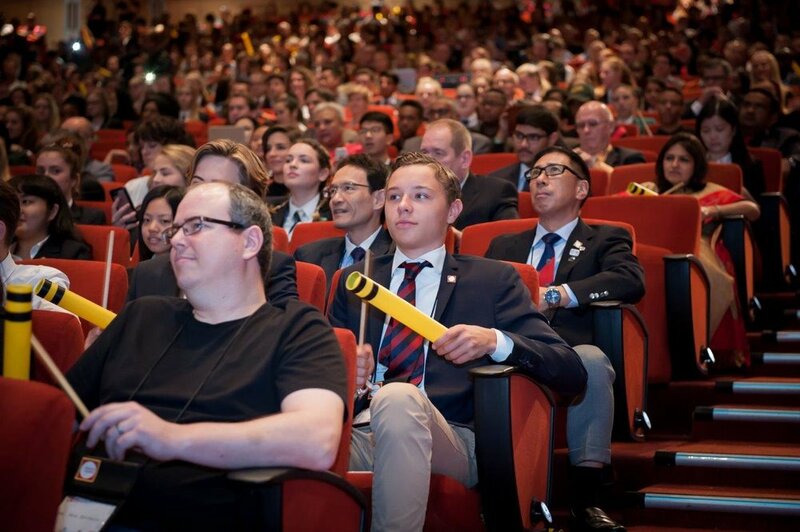 Participants (up to 1500 pax) are left astonished at their ability to create rhythm, harmony and melody with plastic tubes! Powerful conference opener which creates synergy with any group of people. Everything in the Universe moves in a rhythm – the planets, night and day, our breathing, heartbeats, everything. 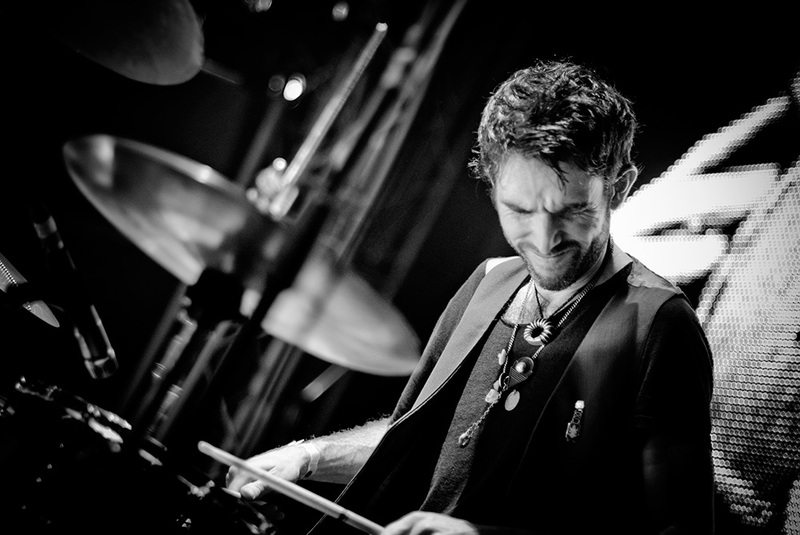 Easy to follow, interactive, fun and interesting, drumming has great unifying and energising effects. 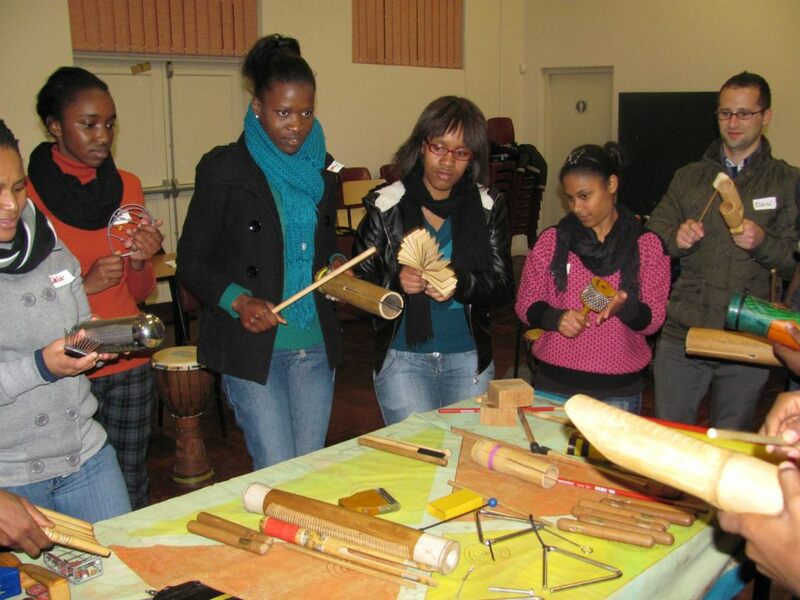 Drumming and percussion are used in small workshops designed specifically for each group. Participants are creatively involved in orchestrating rhythm and music – challenging and fun with many parallel learnings for the corporate market. A powerful teambuilding exercise. Julie facilitates workshops for people to experience singing in harmony, something that participants might feel is impossible. Harmony singing is a powerful way to transcend boundaries. The workshops are based on singing rounds in a group. Julie can also compose a short song or round for your particular situation, to teach the group. 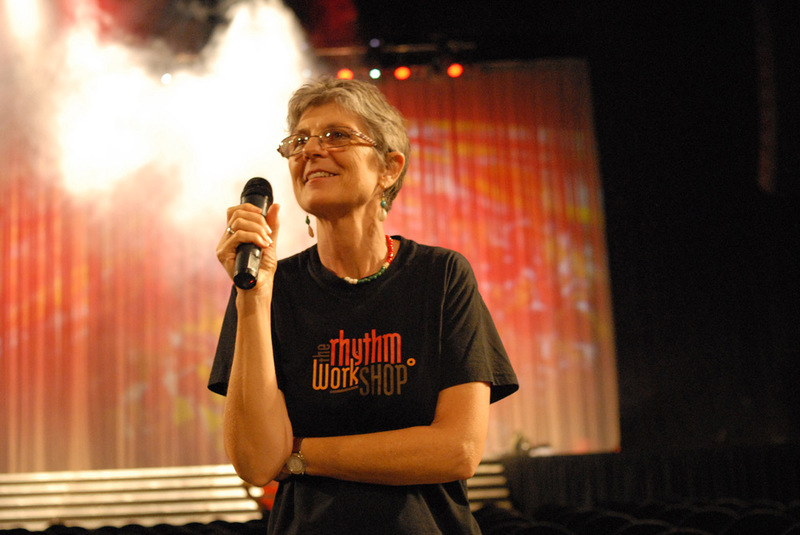 Run by Julie Blundell since 2001 and based in Cape Town, the Rhythm Workshop works with Corporates, NGO’s, Tourists, and the Educational and Private Sectors. 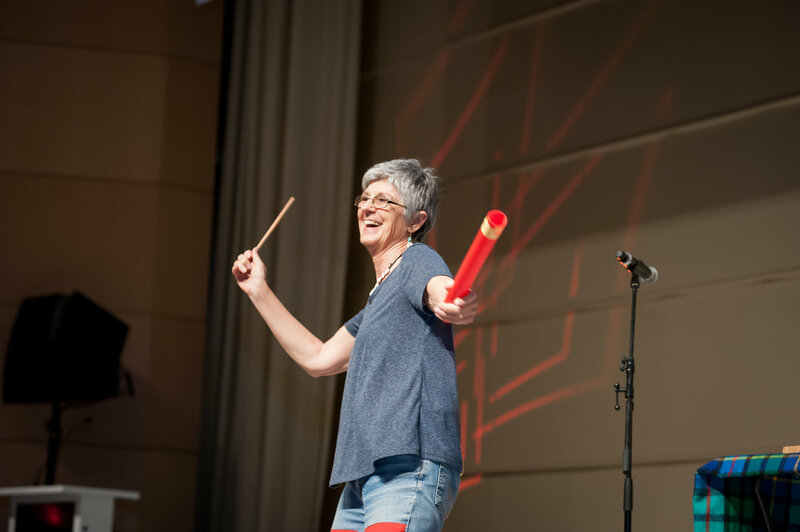 Julie has a lifetime of experience working with rhythm and harmony in various ways, both in workshops and in performance. Julie grew up in a world of music. At the age of 10 she started performing with her father, Keith Blundell, and siblings. As a young adult she performed as a solo artist at Folk Festivals, Folk Clubs and many other venues, and these days performs with her siblings, Caroline and Jonny Blundell. In the 70’s she toured with Andrew Tracey’s Steel Band and during the 80’s and in the 90’s she taught acoustic guitar, and successfully ran Barn Dances in Johannesburg, introducing Line Dancing as a new facet of the business. She regularly joins forces with various other musicians, often working with Matthew Catto, a talented drummer, percussionist and singer who also performs with many other bands. Julie gives acoustic guitar lessons from beginners to advanced within the folk and contemporary music genres. She also gives beginner lessons for electric bass. She works with the basics of singing, theory and harmony and she can also help with preparation for performance. Caroline, Julie and Jonny Blundell, have been performing beautiful original music for ages. They grew up making music together as a family, led by their well-known father Keith Blundell. Over the years they have performed widely at music festivals, in live venues, and on TV and radio. They have performed individually and together in many different bands in a wide range of genres. He combines his wide experience of consulting and the arts to construct processes for companies that promote a healthy business culture. People are deeply creative and thrive on problem solving, but companies unwittingly prevent this. Music, poetry, theatre, art unlock this possibility. Derek includes these arts meaningfully by aligning the experience with business strategy and blending the necessary training areas, like leadership, management and interpersonal skills into the sessions. Rootspring's vision is to produce recordings by local musicians and to help create a healthy, sustainable and professional South African music industry, rich in diversity and respectful of its legacy. Much like a tree, we draw from the strength of our roots in both legacy and experience, while we nourish a sturdy structure for a variety of artists, yielding beautiful fruit.